YOU are our business. YOU deserve personal attention from beginning to end. After all, your possessions (personal or business) require a company that cares about your needs. From the moment a move begins, Action 9-A will meet with you to orchestrate a plan to ensure that each move is completed with absolute precision. You receive personal attention throughout the entire process. Action 9-A is a family owned and operated business, which means our business is personal too. We care about your needs first. Over 75% of our business is based on referrals or repeat customers. Our customers trust us to get the job done flawlessly time and time again. Whether you need to relocate, ship internationally or store items; you can rely on Action 9-A. 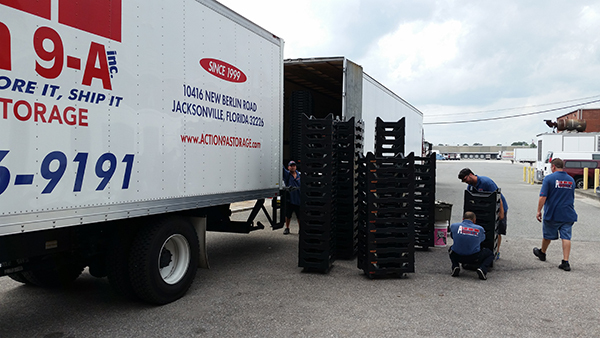 Some of the largest corporations such as AT&T, Bank of America, JP Morgan, Shands Hospital, The Department of Defense, FBI, Army Corps of Engineers, NAS JAX as well as federal and state prisons are just a few of the customers who continue to work with Action 9-A. Since 1999, we continue to get the job done right, each and every time - which is why local businesses (like ServiceMaster) and residential customers continue to trust us and refer others for our support. You can rely on us, too, with your most valuable possessions. We look forward to doing business with you. 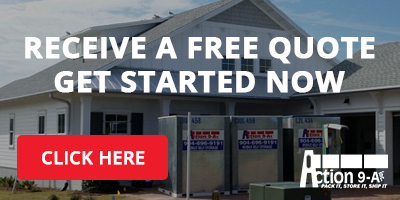 Call us today at 904.696.9191.